In 2007, energy researchers at Colorado State University created AVA Solar, which became Abound Solar of Loveland, Colorado, with manufacturing facilities in Tipton, Indiana. The President of the United States, Barack Obama, touted Abound Solar as an example of the clean-energy future, claiming it would create 2,000 construction jobs and 1,500 permanent jobs. Members of Congress urged the Energy Department to grant Abound Solar loan guarantees. They included Sen. Richard Lugar and Representatives Dan Burton, Mike Pence and Mark Souder, all Republicans, joined by Colorado Democrats and Senator Evan Bayh. The U.S. Department of Energy duly approved up to $400 million in federal loan guarantees for Abound Solar. 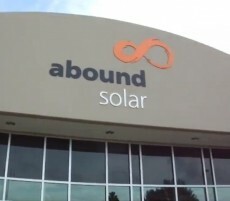 In June 2012 Abound Solar announced that the company would file for bankruptcy, having drawn down about $60 million of its loan guarantee. The failure left 125 workers without jobs, a familiar pattern. 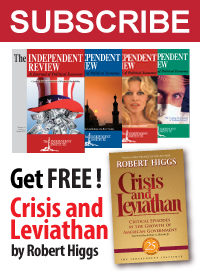 Solyndra, another company touted by the president, used almost all of its $535 million in government money before declaring bankruptcy and laying off all its employees last year. Solyndra has been memorialized in a Berkeley architectural sculpture, but Abound Solar may have a different legacy. The Denver Post is reporting that the Weld County district attorney’s office is conducting a criminal investigation of Abound Solar for possible securities fraud, consumer fraud and financial misrepresentation. That is, the company may have misled financial institutions when seeking loans. Whatever the result of the investigation, a much larger misrepresentation is going on here, the notion that the federal government has the wisdom to pick winners and losers in the market place. Beacon Power and A123 Systems also filed for bankruptcy after getting federal money as part of the trickle-down theory. Give millions of taxpayer dollars to companies favored by the president and federal politicians, in the hopes that some of that money will trickle down to workers and boost the economy. It’s not happening but the belief persists that this process is also the wave of the clean-energy future. If that is the case then, to adapt Lincoln Steffens famous saying, taxpayers have seen the future and it irks.